During 年末年始 (nenmatsu nenshi, the yearend and New Year’s period) it’s common for the TV networks to fill up some of their broadcast time with 時代劇 (jidaigeki, period dramas). Portraying legendary heroes in colorful costumes of yore, their antecedents date back to the earliest years of silent films, and the genre has been frequently compared with America’s TV Westerns, called 西部劇 (seibugeki). While the period dramas’ 全盛期 (zenseiki, heyday) during the 1960s and ’70s is long past, such shows remain popular, particularly among older viewers. In an online survey appearing in the Asahi Shimbun last April, of 1,748 responses to the question, 時代劇が好きですか (Jidaigeki ga suki desu ka, Do you like period dramas? ), 61 percent gave positive replies, versus 39 percent who responded in the negative. Interestingly among the latter, only 19 respondents complained that セリフがわからない (Serifu ga wakaranai, The dialog was hard to comprehend). For foreign beginners, however, following a dialogue sprinkled with archaic terms — although the scripts are carefully constructed not to deviate too far from modern Japanese — can be challenging. That said, difficulty in comprehension shouldn’t keep you from enjoying scenes of lovely kimono-clad actresses and swashbuckling samurai performing choreographed displays of martial arts. Most TV jidaigeki series are set in the the pre-modern 江戸時代 (Edo Period, 1603-1868). Within the genre, some stories are based on legends of actual historical figures, some are the creations of novelists, and others are developed from comic serials or produced in-house by teams of TV scriptwriters. Asahi’s poll found that the most popular jidaigeki series was 鬼平犯科帳 (Onihei Hankachō, “The Casebook of Hei the Demon”), sourced from stories by prolific author 池波正太郎 (Ikenami Shōtarō, Shotaro Ikenami, 1923-90). The series followed the exploits of 長谷川平蔵 (Hasegawa Heizō, 1745-1795), who held the position of 火付け盗賊改め (hitsuke tōzoku aratame, person in charge of dealing with arsonists and robbers) — equivalent to the head of Edo’s SWAT team. 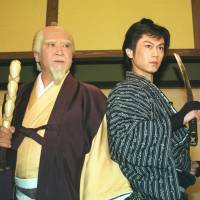 The TV series appeared from 1989 to 2016 on different networks, with Onihei played by various actors over the years. Historians credit the real Hasegawa for his humanitarian efforts toward reforming criminals. 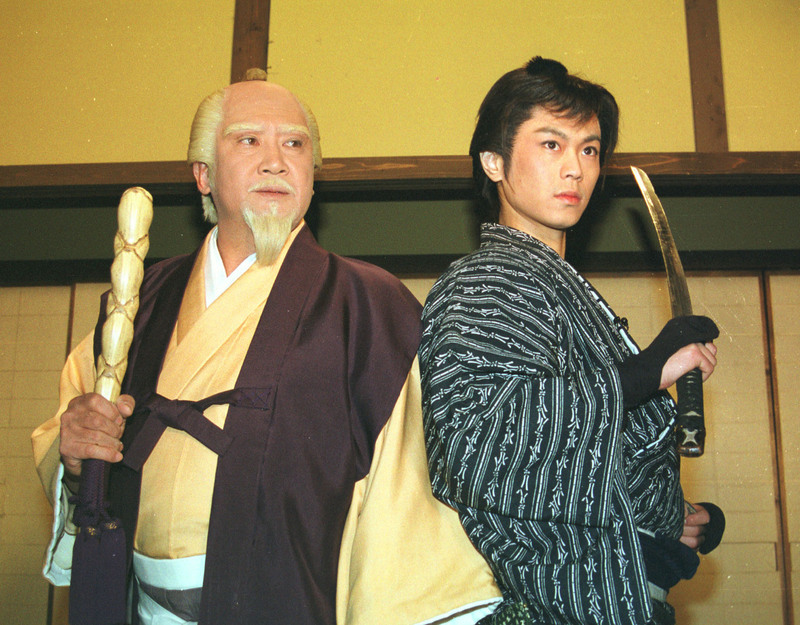 Other popular TV series, in descending order, included 大岡越前 (Ōoka Echizen), 水戸黄門 (Mito Kōmon), 必殺シリーズ (Hissatsu Shiriizu); 遠山の金さん (Tōyama no Kin-san) and 剣客商売 (Kenkaku Shōbai). It so happens that three of these six — “Onihei Hankacho,” the “Hissatsu Series” and “Kenkaku Shobai” — were Ikenami creations. While some jidaigeki plots feature gratuitous violence and nihilism, for the most part they adopt the theme of 勧善懲悪 (Kanzen chōaku, Good is rewarded and evil punished). Another aspect is how they uphold an old literary tradition with roots in China, extolling “righteous officials” — incorruptible men who defended downtrodden peasants and humble townspeople. For instance, the real Toyama, whose full name was Toyama Saemon no Jo Kagemoto (circa 1793-1855), was one of two 町奉行 (machi bugyō, governor-magistrates) of Edo (present-day Tokyo) during the period in the early 1840s known as the Tempo Reforms. He earned the people’s lasting admiration by standing up to an unpopular senior official named Mizuno Tadakuni. Every episode of “Toyama no Kin-san” ends in a similarly predictable way. At the city court, an accused criminal is shown kneeling on white gravel before the magistrate as he steadfastly denies his nefarious activities. “Oh, ho, ho,” the magistrate huffs. “You deny your part in the alleged crime?” Rising dramatically to his feet, he thrusts his arm through the front of his kimono and, as spectators gasp in astonishment, bares an elaborately tattooed shoulder — revealing himself to have witnessed the crime in person, in the disguise of a streetwise local rogue named Kin-san. Not all jidaigeki heros were high-ranking officials: Law enforcement in old Edo depended heavily on a system of spies and paid informants who reported what they saw and heard to the local 同心 (dōshin, police constable). These men, called 目明し (meakashi) or 御用聞き (goyōkiki), among others, had no government authority and had to live by their wits. The long-running action series 銭形平次 (Zenigata Heiji) featured one such person. I have to give jidaigeki at least some credit for kindling my interest in Japanese history. One of my favorite desktop sources, although currently out of print, is the “Historical and Geographical Dictionary of Japan” (Tut Books, 1972), originally published in 1910 by Edmond Papinot. With 842 pages, it contains kanji equivalents for names and other proper nouns and a helpful appendix containing the chronological list of emperors and other data. From my experience, the best way to familiarize yourself with jidaigeki is to watch programs together with a Japanese 解説者 (kaisetsusha, commentator) who can provide explanations and help fill in the language gaps.